Using state-of-the-art technology, Anshu Guleria, MD, provides his patients at Prince William Urology Associates in Manassas, Virginia, with the utmost in health care services that include both discretion and sensitivity during diagnosis and treatment. After earning his medical degree from Northeastern Ohio Universities Colleges of Medicine and Pharmacy in 1988, Dr. Guleria completed both a surgical internship and a urological transplantation fellowship at the MedStar Washington Hospital Center in Washington, D.C.
Dr. Guleria went on to complete a second fellowship at the National Cancer Institute at the National Institutes of Health before returning to the MedStar Washington Hospital Center for his urology residency. 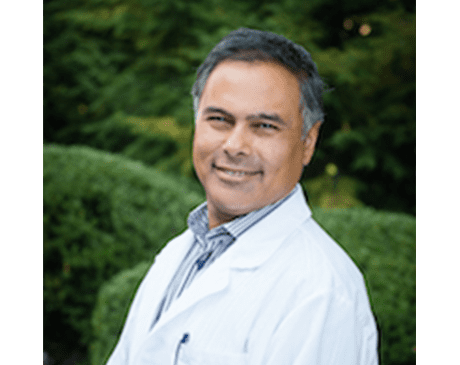 Certified by the American Board of Urology, Dr. Guleria has served as chief of surgery at Prince William Medical Center and chief of urology at Inova Fair Oaks Hospital. Dr. Guleria’s numerous accolades also include working on many boards and committees at both hospitals, as well as being consistently voted a Top Doctor by Washingtonian magazine from 2005-2016. Dr. Guleria offers professional diagnosis and treatment for all urological conditions and specializes in the treatment of prostate cancer. Dr. Guleria provides his patients with annual prostate exams, prostate cancer treatment, and prostate cancer screenings, including high-intensity focused ultrasound (HIFU), benign prostatic hyperplasia (BPH) screening and treatment, prostate-specific antigen (PSA) testing, and brachytherapy. Patients from a range of backgrounds can rely on Dr. Guleria’s expertise as he’s fluent in Hindi and Spanish in addition to English.